Chrome steel stand with geared column. Elevation: 2.2cm per handle turn. 2 sections, 1 riser. 1 levelling leg. 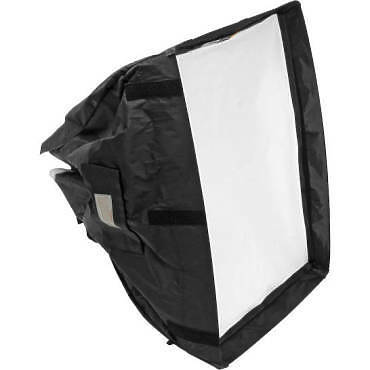 60 second setup and beautiful soft output from our largest single light Rifa kit. 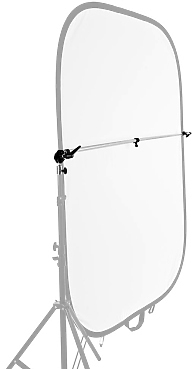 Perfect for quick 1 light closeup interviews or small tabletop sets. 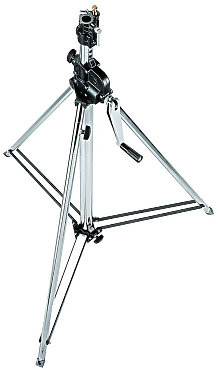 Manfrotto Stand. 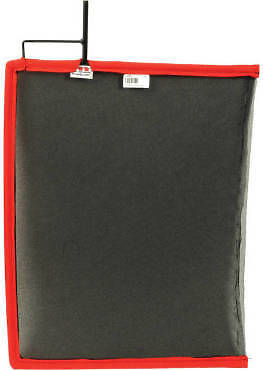 Suitable for heavier lamp-heads including the Arrilite 2000, Junior 1000 and True Blue T1. The largest boom in the range, remote control of pan, tilt and rotation of laminar plus geared telescopic extension. 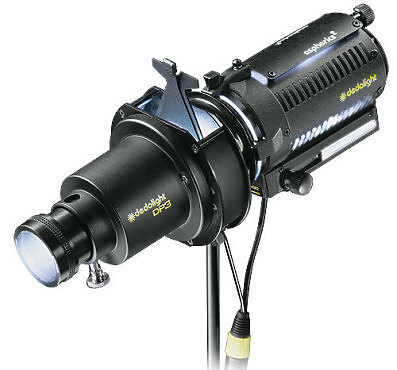 The Dedolight DPLZ120M is a metal barrelled lens with an aperture of f3.5. 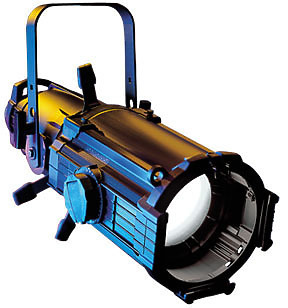 The industry standard ellipsoidal reflector spotlight family. Unsurpassed output, ruggedness and features with framing shutters, gobo/pattern slot, and effects slot for the most effective beam control possible. 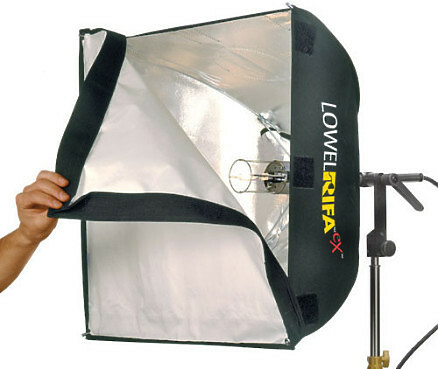 Industry standard reflectors used to bounce light towards a subject or object.